“These bills increase access to our public lands and ensure that the government is properly caring for the land it already manages. I hope the Senate will act quickly to send these pieces of legislation to the president,” Bishop stated. H.R. 2630, the La Paz County Land Conveyance Act, authorizes the Secretary of the Interior to convey certain land to La Paz County, Arizona. H.R. 3045, the Eastern Legacy Extension Act, amends the National Trails System Act to extend the Lewis and Clark National Historic Trail to 4,900 miles, from the Ohio River in Pittsburgh, Pennsylvania, to the mouth of the Columbia River in Oregon. H.R. 5979, the Mill Springs Battlefield National Monument Act, establishes the Mill Springs Battlefield National Monument in the State of Kentucky as a unit of the National Park System. H.R. 6077, the National Comedy Center Recognition Act, recognizes that the National Comedy Center, located in Jamestown, New York, is the only museum of its kind that exists for the exclusive purpose of celebrating comedy in all its forms, and officially designates the National Comedy Center as the National Comedy Center. H.R. 5613, the Quindaro Townsite National Historic Landmark Act, designates the Quindaro Townsite in Kansas City, Kansas, as a National Historic Landmark. 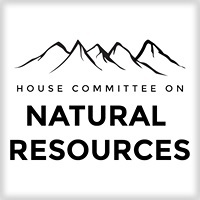 S. 2850 amends the White Mountain Apache Tribe Water Rights Quantification Act of 2010 to specify that settlement funds may be used for the planning, design, and construction of the tribe’s rural water system. H.R. 5875 amends the Pittman-Robertson Wildlife Restoration Act and the Dingell-Johnson Federal Aid in Sport Fish Restoration Act, provides parity for United States territories and the District of Columbia, and makes technical corrections to such Acts and related laws. H.R. 1220 amends the Act that authorized the Adams Memorial Foundation to establish a commemorative work in Washington, DC, to honor John Adams and his legacy to, instead, establish the Adams Memorial Commission to establish a permanent memorial in DC for such purpose.